It’s time for another Top Ten Tuesday! 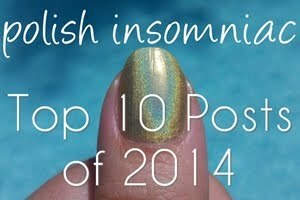 This week we are bringing to your our Top Ten Polishes for Spring and Summer. 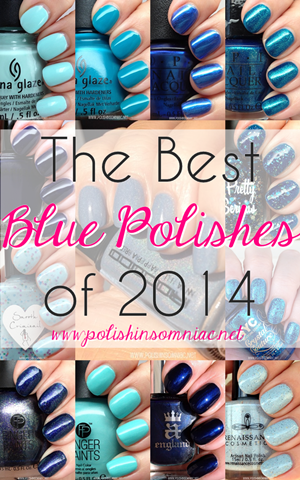 Since I own a million and one polishes, I thought I would narrow it down a bit by naming my top picks from some of the more popular new releases of 2014! 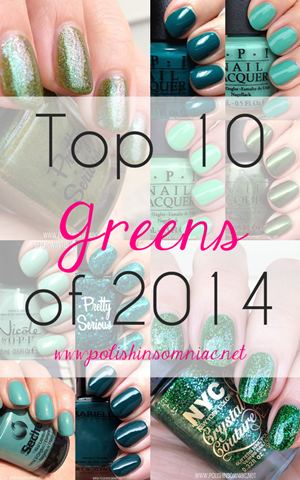 Here are my Top Ten Polishes of Spring/Summer 2014, in alpabetical order. Click on the name of the polish to be taken to it’s review! OPI Hotter Than You Pink (Summer Neons) – review coming soon! Some full size pictures for you! Yes, I cheated. The Beach Sandies are actually a set of four, and I’ve got two FingerPaints, not one! A few memorable colors from last summer I am dying to bring out again! What are your favorite colors of Spring/Summer 2014? 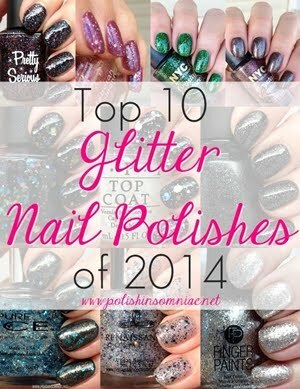 Don’t forget to let me know in the comments, and be sure to check out the rest of the Top Ten Lists below!